M.A.C Cosmetics have long been known for their amazing approach to education – both the continuing education of their artists and increasing the knowledge base of their loyal customers so they can do more with their favourite products. The M.A.C Technique classes are essentially educational seminars offered in store, where beauty customers are taught by certified M.A.C artists, under topics of makeup looks, techniques and trends, delineated by class type. Catering to both new makeup users and seasoned artists, each curriculum offers an intimate setting for participants to interact directly with M.A.C Makeup Artists to learn makeup tips and tricks. 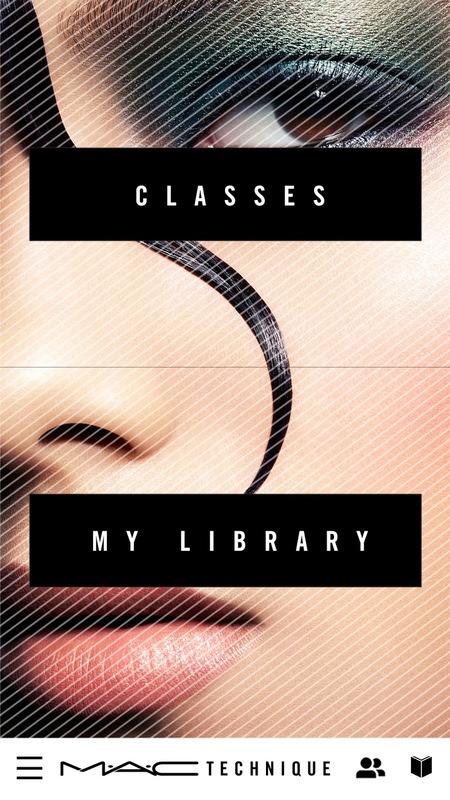 As of now however, M.A.C Technique classes will offer an even broader range of workshops and seminars, with 13 technique focuses - from beauty basics to glam chic – and one very special new technical innovation. 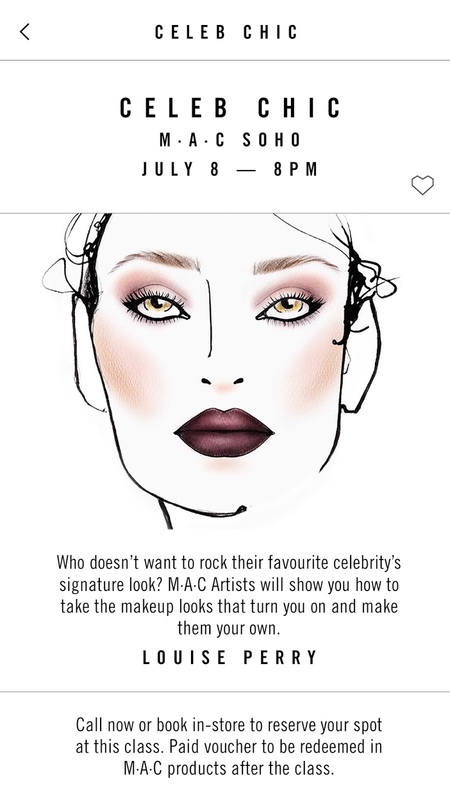 Called the M.A.C Technique app, it is being touted as the first of its kind, and is used in conjunction with the classes to give clients the ability book classes in their area and search for the classes they want via the appropriate face charts. Once booked, the client is given a class code, which leads them to an interface where they can make comments, put products into a wish list and save the necessary images and videos during the session. This ensures the student can recreate the look away from the class, at home, backstage or on set. The app also allows the user to share these techniques and looks across all social media platforms. Amazing! Having been given a crash course (see above, middle in class with M.A.C Senior Artist Kiekie Stanners) and played with it myself, I can honestly say that even a luddite like me can master this baby, and have a hell of a lot of fun with it. Makeup application is all about technique - this workshop is good for both beginners and artists looking for an update. M.A.C Artists show how to enhance features and learn a fresh new perspective on beauty. Keep makeup looking fresh all day - M.A.C Artists give tips on creating looks with staying power. From longwearing formulas to secret techniques for achieving extended wear. Learn how to create clear, even, radiant skin using M.A.C ‘s Lightful C collection. This class is all about makeup with maximum impact. 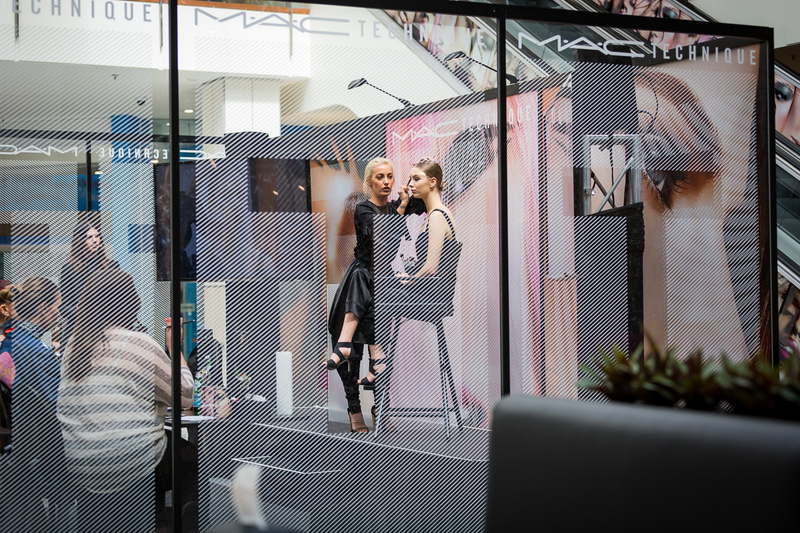 Learn techniques tried and tested by M.A.C Artists on the runway and in the studio. 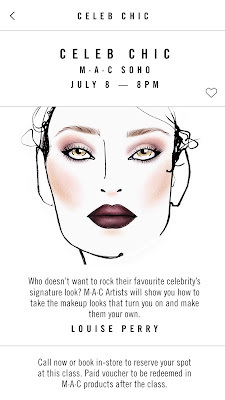 Create celebrity inspired looks – personalized with tips from M.A.C Artists. The popular M.A.C Technique education program costs just $120 for a class, with $100 redeemable on product. Click here to get the app for Android and for iPhone.